Successful electric cars need to support suburban lifestyles. 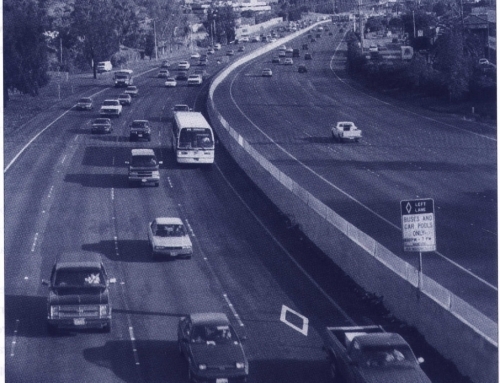 1998 will be a big year for both automakers and clean-air advocates. In less than three years, the seven largest car sellers in California must sell zero-emission vehicles (ZEHs)–2 percent of their sales of vehicles under 3750 lbs loaded weight. Given the size of the current market, that’s about 20,000 vehicles and they most likely will be electric cars. By 2003, 10 percent must be zero-emitters. The crux is that the government requires consumers to buy them. The big manufacturers say electric cars cost too much to make and consumers won’t choose them, even if prices were to match those of gasoline vehicles. The automakers have threatened to raise the price of gasoline vehicles to offset their losses. Much of the debate hinges on just how many Californians–or other car buyers throughout the world–will want an electric vehicle (EV). If the market were big enough, car makers and battery makers could lower prices. Few EV shave been sold so far, and they bear little resemblance to cars expected in showrooms in 1998, or especially 2003. With so little to go on, it’s tough to forecast sales. Skeptics like to point out that electrics lost their consumers eighty years ago, when Model Ts first came rolling off assembly lines. 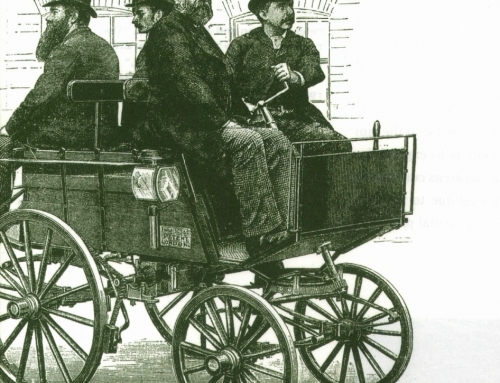 Early electric cars had the same disadvantages as modern ones: limited daily driving ranges and batteries that need recharging and replacement. Back then, most Americans still lived on farms, the electric grid was incomplete, and many new car buyers we.re rural dwellers who needed a vehicle to get to town. 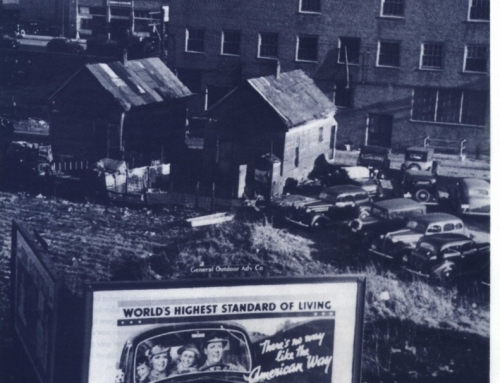 Most households had only one vehicle until after World War II. The electric car’s zero-emission advantage had little meaning for rural, small-town America, and its limited driving range posed a major disadvantage. But that America is gone. Americans who buy new cars today are primarily suburban. Virtually everyone has electricity at home, and probably half of new car buyers already have 220-volt circuits in their garages with up to 30-amp circuit breakers. Most new-car buyers already have two, or three, or more vehicles in the garage. When they go touring, at least one car is left at home. Additionally, healthy living and clean air have become major national concerns. Even though tailpipe exhaust is much cleaner today than two decades ago, it’s still not clean enough. If you wanted to buy an EV today, you’d have difficulty finding one. You’d have to make your own, buy a used one, bring a gas car to a conversion shop, or buy from a very expensive “batch” converter (someone who buys new gas cars, converts them, and sells them for twice the price of the original). There are several conversion shops in California, garage-sized operations where enthusiasts tear the gasoline power system out of cars or trucks, refit an electric motor and controller into the cavity, and fill the leftover spaces with batteries – lots ·of batteries that fill the trunk and sometimes the back seat. With the big companies reluctant to put an EV on the market with today’s technology, shops like these are doing a small part of the job. AC Propulsion is a small electric-vehicle conversion shop operating out of a single bay in an inconspicuous industrial park off of I-10 in San Dimas, California. Its owner, Alan Cocconi, is often called the whiz kid of EVs. His latest design shows what’s possible. He has taken a Honda CRX, fitted it with a 200 hp AC air-cooled electric motor and a battery pack of newly designed lead-acid batteries that fit in a channel down the center of the underbody. The vehicle goes 0-60 mph in 6.2 seconds, has a governed top speed of 85 mph, gets 110 miles per charge at 60 mph, and can be 80 percent recharged on a 220-volt charger in about one hour. (A top-of-the-line 1995 Ford Taurus goes from 0-60 mph in 7.5 seconds, tops out at 130 mph, and can travel 400 miles on a tank of gasoline.) The electric CRX has full traction control, cruise control, regenerative braking, and batteries that last about 20,000 miles. About 22 of these conversions have sold for around $75,000 each. All this done in a small shop with no subsidies. The AC Propulsion vehicle illustrates much about the EVs that will hit the market in a few years. They won’t be golf carts by any means. They will have sophisticated electronics, have plenty of power, and will look like other cars on the road. General Motors and Ford Motor Company have also been testing some limited-production vehicles across the United States in some select markets. The reports are good so far. People seem to like the way the vehicles perform, and affluent consumers are quite interested in the General Motors Impact, a small sports coupe with lots of power and speed. These limited markets are critical to manufacturers who wish to charge luxury prices for initial sales and to build their products’ reputation as premium goods. Once the price of electrics approaches that of gasoline vehicles, say in 2005, and consumers can get electrics in many models, styles, and body types, the market question will be determined by consumer response to three important attributes: range, recharging, and zero emissions. Just as it was eighty years ago, we still do not have the battery technology to allow EVs to drive as far as gasoline vehicles without recharging or refueling. The ZEV mandate has encouraged development of a wide range of new batteries which promise to double the capacity of current traction batteries and hopefully extend their life to five or even ten years. Most of these are prototypes with high prices, and we have yet to develop manufacturing methods. What we need is a cheap, durable, and environment-friendly battery – not an expensive super battery. Many market studies have tried to assess how far consumers want their cars to go before needing to refuel, based on their stated preferences, using hypothetical ranges and prices. Several studies conducted from the 1970s to the present conclude that preferred driving ranges make EVs unmarketable. However, our studies find that consumers’ preferences for travel range are highly volatile. Small increments of information push respondents’ estimates back and forth radically. Most people we interviewed had never thought about how much range they want or need, until we posed the question. It wasn’t an issue when they purchased their gasoline car. Some don’t know the range of their current vehicle; they fill up once a week on Friday and never drive out of town. Most simply think more range is better than less. Consumes of EVs must consider range together with recharging time, and they must develop a new set of habits. The EV might have only 100 to 150 miles of range, but you won’t need to go to a gas station. You can have a freshly charged car every morning. To recharged an “empty” vehicle will take two or three hours on a 220-volt, 30-amp circuit. You’ll probably plug the car in every night and use a timer to get the best rates from the power company. Most days you’ll drive only 40 miles or less, so recharging will take only one hour. Because electricity will cost much less than gasoline, you’ll prefer the electric for most of your running around. Precise instruments will tell you how much range you have left. So as long as you’re near home, you can run the battery low and get all your errands done. Actually, you’ll like using the electric because it’s already heated and defrosted when you get in, and some communities will offer preferential parking for EVs. On the other hand you won’t think of taking the electric on long trips – that’s why you have the gasoline car. Our research investigates a central hypothesis: “a sizable percentage of multi-car households will find it reasonable-even attractive-to have vehicles with different refueling characteristics.” We call this the hybrid-household hypothesis. To test it, we conducted a series of consumer studies in which-unlike other related studies-we first helped respondents think about the capabilities of EV s-providing questions, maps, reading material, videos, and even test drives of new electric vehicles. Shortly afterward, we asked them whether they would want to buy an EV. Critics accuse us of tampering with the thoughts of our participants, giving them too many hints, too much information. The alternative would be to ask what choices consumers would make without knowledge. We argue that would be worse. Preferences develop over time, and they become meaningful only when accompanied by experience and knowledge. My little girl, for example, will say with some conviction that she “hates” salmon without having tasted it-then, one bite from my fork reverses her “preference.” So it is with EVs. In a test drive we held at the Pasadena Rose Bowl, many participants reversed their stated preferences after driving electric cars. 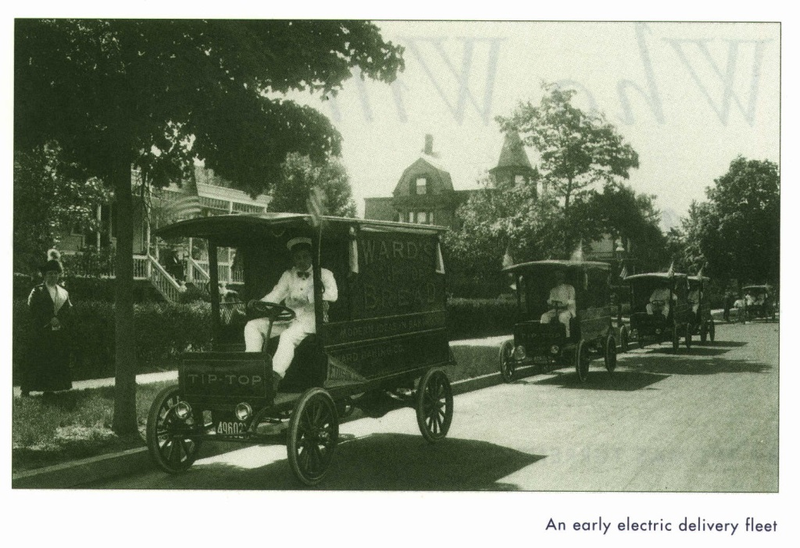 Most thought the cars would be slow, like golf carts, but even modest electrics changed their opinions. On the other hand, some who had said they wanted an electric reversed their preference to a larger vehicle in the interest of safety (the test vehicles were all sub-compacts). In one survey, using a method we dubbed PIREG (Purchase Intentions and Range Evaluation Games), we first collected diaries for a week of driving for all vehicles in 51 two-car California households. Then we interviewed each household at home, using the diaries to see just how a limited-range vehicle would have worked for the recorded week, as well as for expected future travel. We wanted to know whether household members would swap cars, the radius of their routine activity space, the critical locations they needed to reach, the amount of cargo or hauling they did, and the frequency of their vacations. We wanted to see if participants who emphatically claimed they wanted to buy an electric car were realistic candidates. We found that 29 of the 51 households could immediately use an EV with a 100-mile range, without having to make any adjustments; 15 households needed to make small adjustments, such as swapping cars with another family member one day a month; and 7 households were unwilling or unable to adapt to EVs with limited ranges. Recently, we mailed surveys to 454 California households with two or more cars, who had bought a new car in the last five years in size categories similar to future EVs. We provided households with a wide range of information about EVs, including a video and magazine articles, in order to stimulate their thinking about the subject. The households also kept driving diaries and marked important household destinations on a local map. At the end of the week, they made vehicle choices. In the most simple test of our participants’ response to limited range, recharging, and zero emissions, 46 percent said they would be interested in purchasing an EV with about 100 miles of range if the price were equivalent to gasoline vehicles. We think these are highly probable sales, if manufacturers can meet the price condition. Such two-vehicle households (with one midsize or smaller vehicle) account for about 40 percent of California’s new-car annual sales, in a car market that is now about 1.4 million new vehicles per year. If half of the 46 percent who showed interest in electrics actually bought one, that would mean about 10 percent of the annual market, or about 140,000 buyers annually. That would meet the mandate in 2003 and doesn’t include fleet sales. We expect sales among commercial and public fleets, which account for 20 to 25 percent of current annual sales. With scattered sales among the remaining 35 percent of the market, including one-car households, it’s not hard to imagine EV sales reaching 20 percent of annual vehicle sales. At that rate, electrics could become 20 percent of the vehicle stocks in California within a ten-year period. That would be 4 to 5 million vehicles – according to some studies, that might be about the right number of electrics given California’s electric-power-generating capabilities. A bigger question is whether electrics will lead us to environmental improvement. Once zero-emission vehicles are on the road, gasoline cars and gas stations will seem a lot smellier and dirtier than they do now. Cleaning up the air will be like cleaning the walls in your kitchen: you start with that greasy place above the stove and, once that leaves an obvious clean spot, you suddenly notice just how dirty the kitchen has become. The next thing you know, you end up repainting the entire kitchen. Electric vehicles could allow us to enjoy our suburban lifestyles while preserving the environment, too. And that’s how they’ll succeed. As Michael Schiffer notes in his history of electric cars, what often attracts new buyers are a product’s extreme capabilities. Early car buyers admired the touring capabilities of gasoline vehicles, and so, they turned down the electrics. Today, the zero-emission standard makes EVs look attractive. S.D. Beggs and N.S. Cardell, “Choice of Smallest Car by Multi-Vehicle Households and the Demand for EVs,” Transportation Research A, Vol. 14A, 1980, pp. 380-404. D .S. Bunch, M . Bradley, T .F . Golob, R. Kitamura, and G.P. Occhiuzzo, “Demand for Clean Fueled Vehicles in California: A Dlscrete-Cholce, Stated Preference Survey,” Transportation Research A, Vol. 27A, 1993, pp. 237-S3. J .E . Calfee, “Estimating the Demand for Electric Automobiles Using Fully Disaggregated Probabilistic-Choice Analysis,” Transportation Research B, Vol. 19B, 198S, pp. 287-301. K. Kurani, T. Turrentine, and D. Sperling, “Demand for EVs in Hybrid Households: An Exploratory Analysis,” Transport Policy , Vol. 1, No. 4, 1994, pp. 244-256. UCTC No. 232. 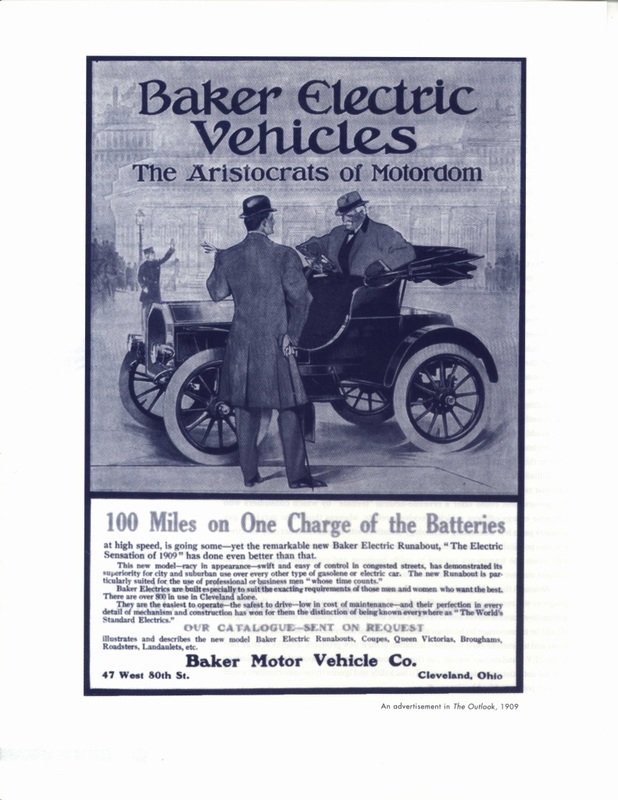 M . Schiffer, Taking Charge: The Electric Automobile in American History (Washington D.C.: Smithsonian Institution Press, 1994). T . Turrentine,” Lifestyles and Life Politics: Towards a Green Car Market” , Ph.D. dissertation, Univer sity of California , Davis, 1995. UCTC Diss No. 26. T . Turrentine, K . Kuranl, and D . Sperling, ” Market Potential Study of Zero Ernls! 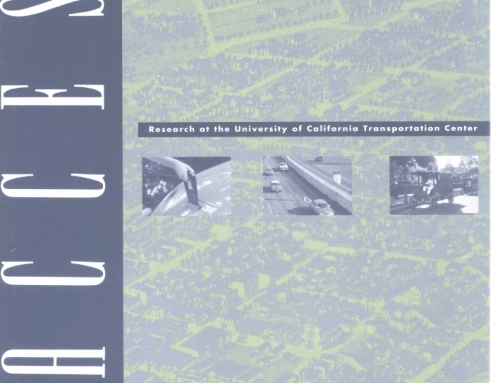 :ions Vehicles: A Reflexive, Diary-based Survey of New Car Buyers In California,” ITS Davis report available May 1995.